After recently winning the EY Survive the Panel Competition, upcoming entrepreneur and Master of Management (HR) student Aimee Church is continuing to take the business world by storm. 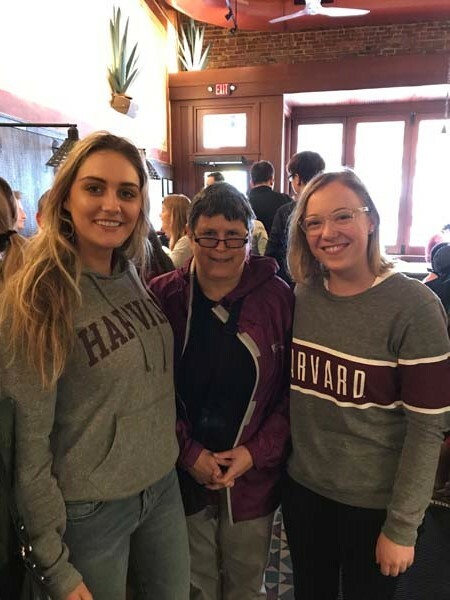 Church has not only embraced the opportunities offered to her during the program but also completed a study abroad at Harvard University as well as an internship at Royal Automobile Club of Victoria (RACV). We invited her to reflect about the opportunities and lessons that she has learnt so far in her university journey. Why did you choose to study the Master of Management (HR) at Melbourne Business School (MBS) and how has your choice impacted you? When looking at Human Resources courses I wanted to ensure that I was studying at a world-class institution and Melbourne Business School has a global reputation, so the decision was easy! I believe that a degree from MBS can take you places. In terms of reputation, there really is no substitute. What do you enjoy about the program? I enjoy the real-world application of a case study based approach to learning. I’ve actually been applying what I’ve learned into the workplace, so I can see clear outcomes of the degree. I attended a three-week Study Abroad program at Harvard University in the July break too. This experience helped me to open my mind up to more global business perspectives and provided me with avenues to be able to pursue overseas work in future. Have you participated in internships so far? If so, what did you do and what did you enjoy most about it? I completed an internship with RACV this year and was working in HR, mostly in recruitment. The most rewarding part of the program was the amount of autonomy that I had. My skills were developed until the point where I could handle my own portfolio, which was very empowering. Importantly, the program gave me an avenue to put into practice all the theory that we have learned! 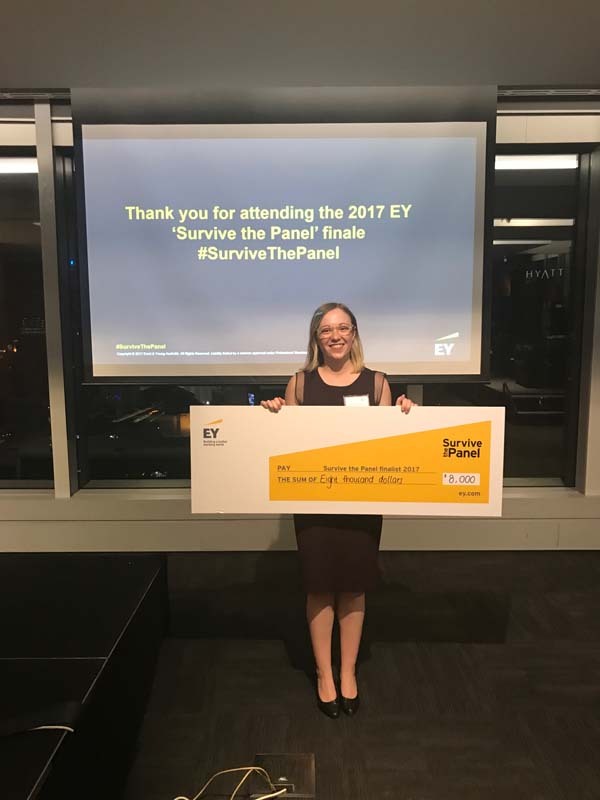 You recently won the EY ‘Survive the Panel’ competition where students from around the country had the opportunity to pitch a new start-up idea. Over 270 teams applied, four made it to the final and you won! Tell us about this experience and what it means for your career? To be honest I didn’t expect to get as far as I did, I’m still in a little bit of shock! In fact, another University of Melbourne team took out second prize and won the people’s choice award. A great result for the home side! My idea was a virtual reality language app, where people can learn via immersion. I’ve never pitched an idea to anyone, let alone to a room of 80 people, so the concept was quite intimidating. Fortunately, EY provided me with a mentor, Robert Dalton, who helped shape my product into a business – a valuable lesson for any entrepreneur! Importantly, the event has helped me to build a brand as a job seeker, which is very important in the current job market. I would encourage anyone reading this to apply next year – it was a real highlight of my academic career. What has been the most valuable lessons you have gained from studying at MBS? MBS teaches students a lot about the power of networking, and provides opportunities to meet the right people. This has possibly been one of the most useful competencies that I’ve developed. One of the most important lessons that I’ve gained at MBS is the importance of having a supportive network around you.